OPEN House Sunday 2-4PM. 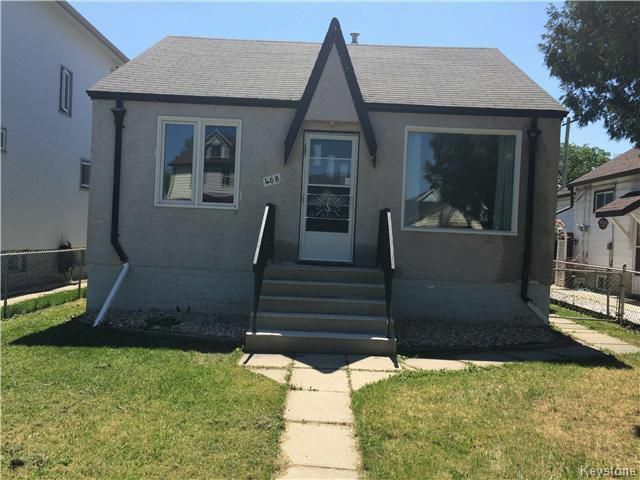 TIME to settle in this MOVE-In-READY renovated 3 bedroom bungalow! Features: 2 full baths, huge eat-in-kitchen with new counter tops and cupboards, newer appliances, newer flooring, freshly painted, new interior doors, handles and light switches, newer plumbing, newer windows throughout with LOTS of natural light! Fully finished basement with private entrance and offers a 3 piece bath and good size bedroom, HWT Dec. 2014, rec room with a new ceiling and carpeted! Front stairs cemented 2016! Huge landscaped fenced back yard with a deck with new stairs and railing, oversized garage, 2004! Close to schools with one down the street, shopping and transportation! MUST SEE! !